Greetings from Bulgaria! I d like to thank you for sharing your excellent work! It helps me a lot. 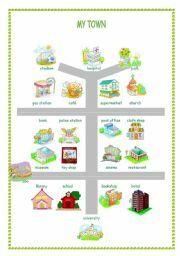 This is a map of a town with different places and a worksheet with exercises.It´s good for practicing places vocabulary and can be used for giving directions. The ws is useful for practicing actions. 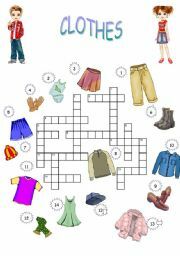 CROSSWORD to practice clothes vocabulary.Answers are included. 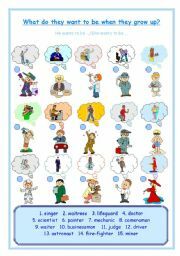 JOBS / WHAT DO THEY WANT TO BE WHEN THEY GROW UP? Sts have to read the descriptions and write the names of the children. 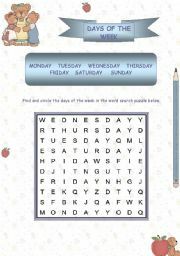 The worksheet is useful for practicing jobs vocabulary. 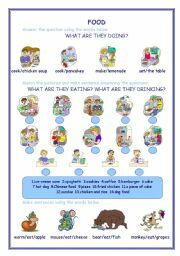 It´s useful for practicing food vocabulary and the present continuous tense. BOARD GAME "LIKE - DOESN´T LIKE - LOVES - HATES + VERB"
This is a board game for practicing like+verb. Instructions included. The sts. 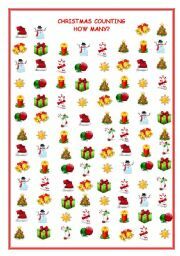 have to count the Christmas trees, hats, candles, stars ets. and answer the question "How many?". The student have to choose the right answer. 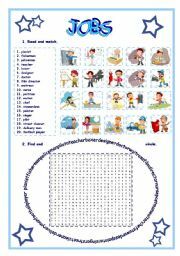 The PPT is good for revising and practicing some preposition of place and some object in the room. The powerpoint is good for introducing shapes and practicing numbers and colours.